The same as the black SOFTT-W Generation 4, but orange color for rescue, wilderness or other applications where high visibility is desired. The new SOF Tactical Tourniquet 1.5" Gen 4 has incorporated some key improvements from it's predecessor. It is 15% lighter, offers a new buckle and retention clip that are faster and easier to use (especially for one-handed attachment), and the windlass is now longer to provide more torque on application. The SOF Tactical Tourniquet-W (SOFTT-W) emerges from an exhaustive research initiative that compiled end-user research and laboratory studies. The resulting tourniquet is more effective and easier to use in all environments. High-strength, light-weight alloy components are used in areas of critical function, ensuring reliability in the most challenging of circumstances. It accommodates the largest limbs. All of this was accomplished while achieving a weight reduction of around 15%. The SOFTT-W high strength hook and buckle interface was recently re-designed for both patient and provider, providing security, strength and ease of application. The design allows for rapid routing of the tourniquet strap while eliminating need for re-threading the webbing through a buckle. Eliminating the requirement to re-route the webbing makes the tourniquet easier to use when operating under stress. This reduces application time, helps to reduce levels of blood loss and enables better quality patient care. The SOFTT-W also has a true 1 ½" tourniquet strap that sets a wider compression pattern than most standard tourniquets, or tourniquets with a 1" constricting band moving through a 1 ½" sleeve. This broader compression pattern allows for increased patient comfort and additional arterial compression. Each tourniquet ships with two UV resistant black rubber bands that give multiple options for mounting it to your individual equipment. Cost=worth saving a life. 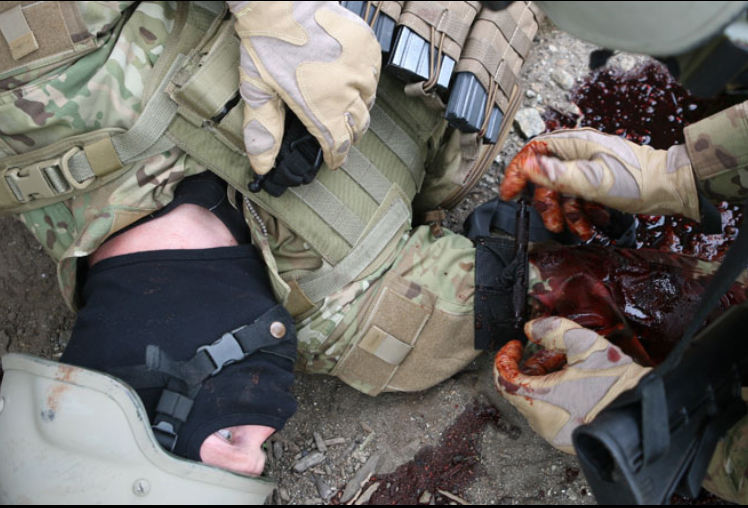 Have in my upgraded personal hemorrhage and bleed control kit I carry in my truck. A label “Tourniquet “ would be great to attach to my dry box... made my own label. We teach the various types of tourniquets in our EMS Programs. I try to have a good selection for our students to practice with, not knowing what each department will have on their trucks or ambulances. We decided to go with the Soft T tourniquets after using them during a training class. It is simple design and worked for the adults and kids in the class. I like the aluminum windlass much better that the one time use Cat T in the same price range. This is great kit. Thankfully I haven't had to employ the device on anyone or myself yet, but easy to spot in almost any scenario 'cept a pumpkin patch. If the color has you concerned, keep it in a carrier or GP Pouch. I'm convinced the Knurled Aluminum Windlass is still the way to go. Check the breathing, Stop the Bleeding. SOFTT-Wide, Why? Because Wider Is Better. I am a CERT Instructor and in training on the proper use of a tourniquet I find this model to have all the elements you look for in a tourniquet. Have been in the EMS services as both a police officer and fireman. have had many occasions to need a tourniquet, and every patient has complained about the pain from the normally very narrow band. this product is nearly twice as wide, easy to use, and provides more compression to stop blood flow! this product is AWESOME! !